Have you tried teeth whitening many times without success? 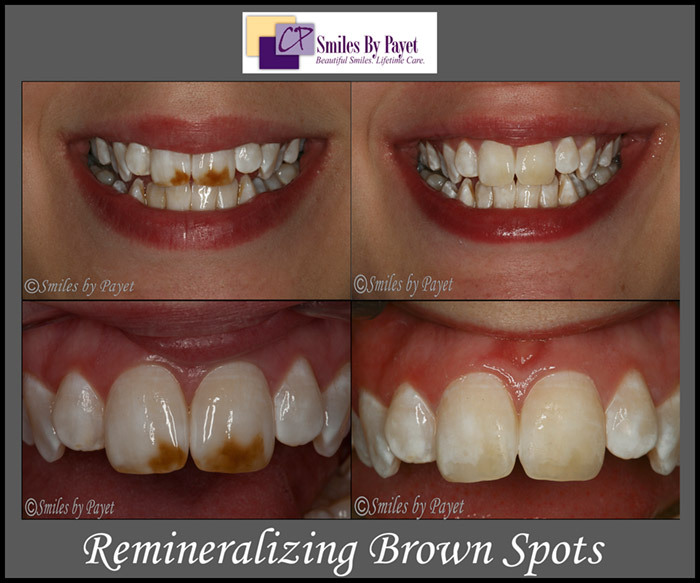 Do you have brownish or whitish patches on your teeth that just don’t change, no matter what you’ve tried? Have you tried the In-Office “Laser” Whitening, the super-high concentration gels, the Crest White Strips……EVERYTHING…..only to see your teeth the same after 2 weeks? If you’re looking for a Charlotte dentist who can help, read on. What Causes Brown and White Spots on Teeth? Conventional whitening has difficulty with these stains, because they are deep inside the teeth. But can it be done, and how? First of all, it can be done, but only by a dentist, because a strong acid must be used to open the enamel “pores,” so to speak, which will remove the dark mineral stains. The key, though, is that the right minerals must immediately be applied to replace what is taken out. 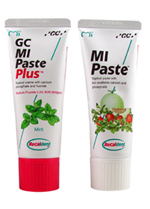 We use a remineralizing paste called MI Paste Plus, which contains calcium, phosphates, and fluoride in just the right concentrations to remineralize teeth. We do this literally moments after the acid etch is washed off, so you don’t walk around with weakened teeth. Additional applications of the MI Paste are done by the patient every day, too, and the patient can even whiten their teeth, too. Typically, this process has to be repeated several times, and the darker the teeth are to begin, the longer it will take and the more office visits are needed. But the great news is that it CAN be done! Stacey was told she needed either bonding or porcelain veneers to get rid of these incredibly dark brown spots, but she didn’t want her teeth drilled, but regular whitening hadn’t worked at all. It took 4 in-office visits over 4 weeks, with at-home whitening using Opalescence Whitening Gel and at-home applications of MI Paste Plus. Needless to say, Stacey is thrilled with her smile now! And I thought it very cool when I showed these pictures to a visiting dental sales rep and former hygienist, so she knows a bit about cosmetic dentistry, but she thought we had done porcelain veneers for Stacey! She was shocked to learn that there was no drilling or dental work done at all.